This kitchen cabinet renovation was part of a large general renovation that in addition to the kitchen, included an en-suite bathroom remodel, as well as a main floor bathroom renovation. The kitchen features silver cloud Columbia Cabinets. 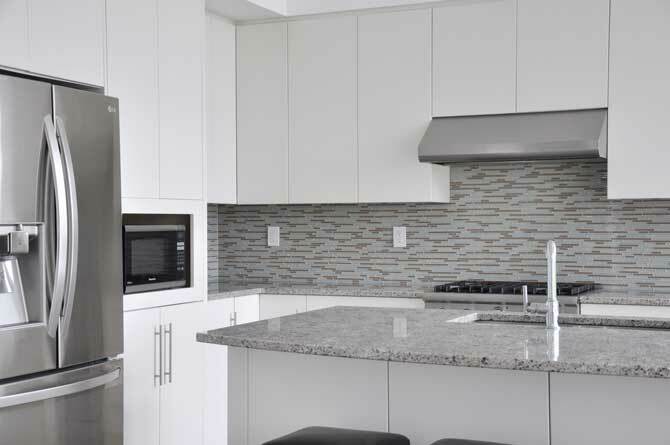 Coordinated Kitchen and Bath is a long standing dealer of Columbia Cabinets, manufactured here in British Columbia in Abbotsford. The kitchen countertop is a Cambria Quartz slab cut and supplied by our local partner, Colonial Countertops. The Quartz countertop has been cut with a standard front edge detail, and was cut on site for an under-mount stainless steel kitchen sink and faucet. 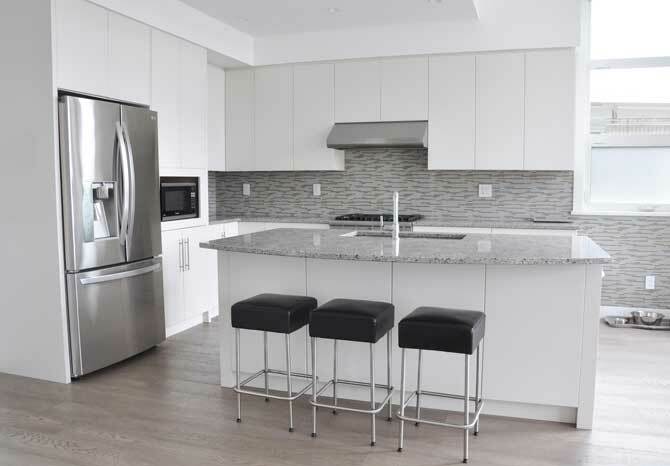 The cabinetry in the bathrooms and kitchens feature details such as tray dividers, lazy Susan unit (kitchen corner), recycle centre, decorative columns, and a pull out laundry hamper in the main floor bathroom. All the cabinets and drawers in the kitchen were installed with Blum soft close technology for quiet closing. 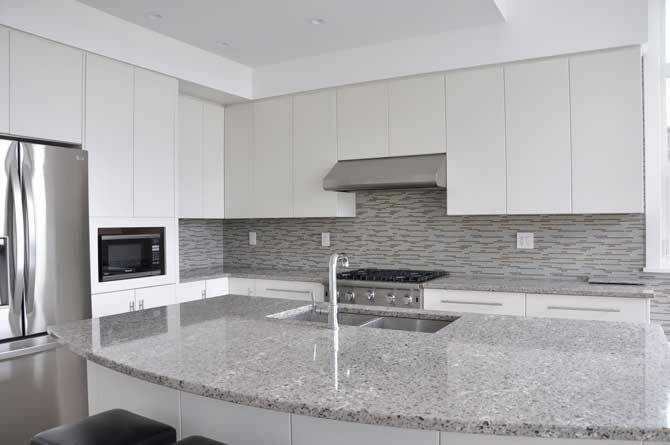 To learn more about this project, or discuss your kitchen or bathroom renovation plans, give Coordinated Kitchen and Bath a call at 604.985.9128, or visit www.coordinatedkitchens.com to learn more. 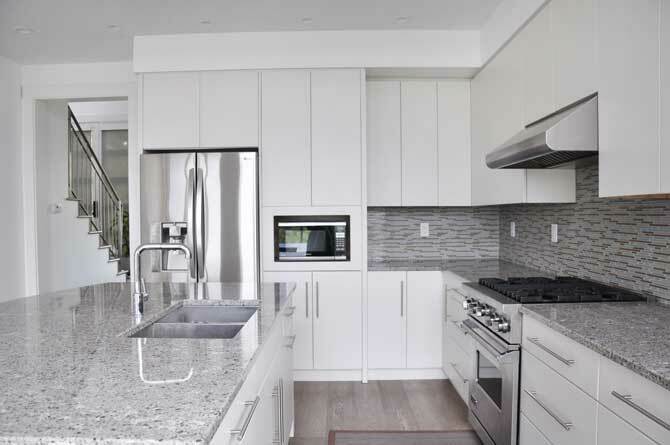 Founded in 1974, Coordinated Kitchen & Bath is a family business specializing in quality full service kitchen, bathroom & home renovations in Vancouver, BC.